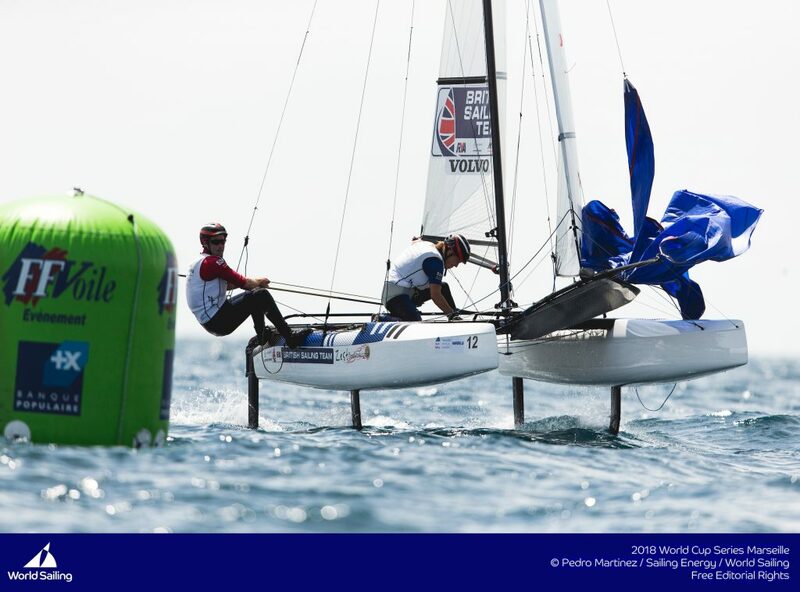 Sailing’s World Cup Series came alive on Wednesday as the medal hopefuls battled it out at the front of their respective fleets in a steady breeze and under blue Marseillaise skies. 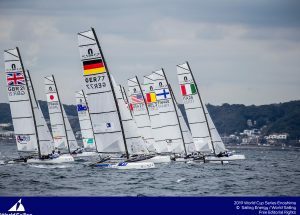 Italy’s Ruggero Tita and Caterina Banti and Great Britain’s John Gimson and Anna Burnet are locked on 16 points apiece in the Nacra 17. Come Tokyo 2020, only one Italian team will be able to go to the Olympic Games, if they qualify, but for now the two teams remain close. “We train together, eat together and compete with each other,” explained Banti. “We are family and we all push each other in order to improve. 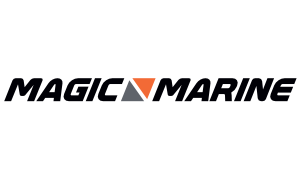 For all the photos, videos, results head to the Event Page. 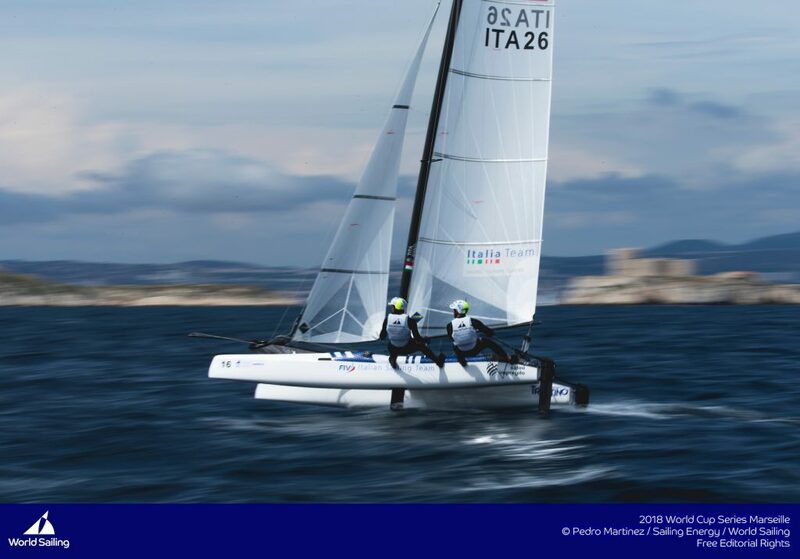 Sailings 2018 World Cup Series will conclude with the Final in Marseille, France from 3-10 June 2018. 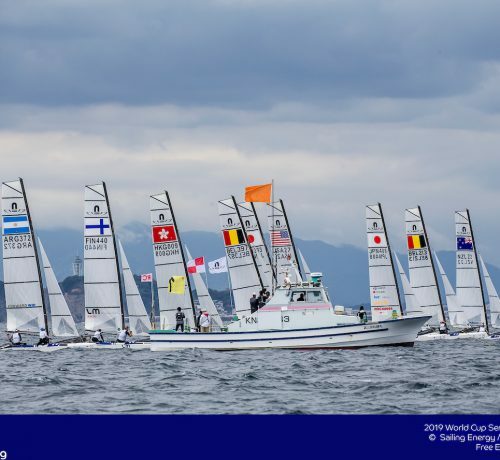 Following three Rounds in Japan, USA and France, the Final sees the Series Champions crowned in eight fleets. 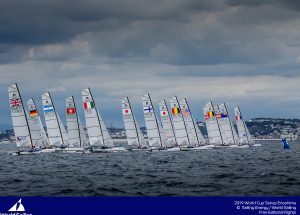 A total of 212 sailors from 34 nations will race in 156 boats in Marseille.